The best of everything the Valley has to offer will gather for one night at the Fairmont Princess Resort in North Scottsdale. Our annual “Best of Our Valley” party celebrates the Valley’s best companies, restaurants, hotels, services, and much more. You’re sure to mingle with some of the most influential and fashionable people that our beautiful state has to offer while munching on top tier treats and sipping classy cocktails. A party this good is only fit for the fancy Fairmont Scottsdale Princess Resort and as a lucky attendee you can treat yourself to a discounted rate the night of the party. Guests can book a room for only $99 for Friday, May 8 and stay long after the party has ended. 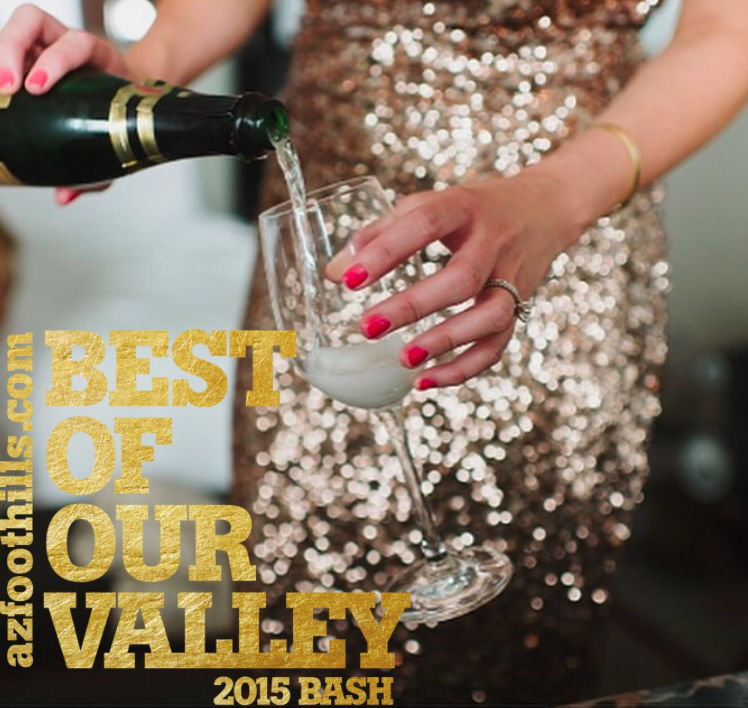 All you have to do is call the resort at 480.585.4848 and mention you’re with the AZ Foothills Best of Our Valley Bash. Don’t you sound elegant?